This is for you Herbie and I really mean it! Do any of you know who Art Linkletter is? He had a TV show back in the 1950s and 60s called Art Linkletter’s House Party. Later in his career he co-hosted Kids Say the Darndest Things with Bill Cosby. If you have an extra 7 minutes and want a good laugh, check this YouTube video of highlights from these early shows. He certainly brought the best out in kids — or at least the funniest. If you recognize yourself, let me know. And if you know where I can get a pair of glitter glasses like the ones Karen is wearing, please tip me off. I love those. What does this have to do with anything, you ask? Especially a nutrition blog? Art Linkletter did his show in front of a live audience. Although not part of this video clip, legend has it that he once asked a cute, freckled-face little boy if he wanted to say something special to one of his friends at home watching him on TV. Hey Tommy. Look at me, I’m on TV and you’re not. Yes, kids say the darndest things. Again, what does this have to do with my nutrition blog? 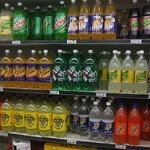 I’ve been inspired by a friend to write a post on soda pop. Inspired by his refusal to give the stuff up, not because he asked me to share my evangelical ranting with him. In fact, quite the opposite. But that’s never stopped me before. So, this is for you Don and I really mean it! Pay attention. And yes, I do realize I can be bossy and annoying. First off, if soda pop is an occasional treat, that’s probably okay, although I suggest eliminating it altogether. It has ZERO nutritional value and HFCS (high fructose corn syrup) is a common ingredient. New research published in the Journal of Nutrition suggests that the ratio of fructose to glucose (chemical names for sugar) in HFCS converts to fat in the body more efficiently than other forms of sugar. The study found that as the fructose concentration went up, so did the rate of lipogenesis (the process in which sugars are converted to body fat). 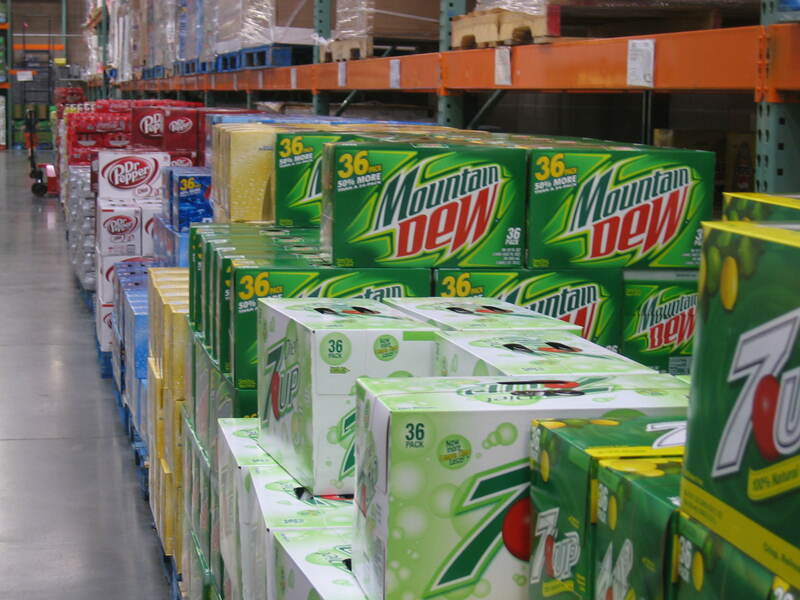 According to the Center for Science in the Public Interest, soft drink companies produce enough soda pop to provide each and every one of us with 52.4 gallons per year. That’s 557 12-ounce cans each. 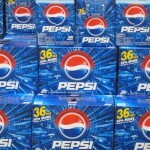 According to the National Soft Drink Association (NSDA), the number is closer to 600 12-ounce cans per person, per year. Who’s drinking my share? 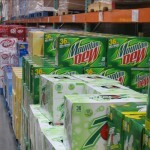 And that’s not even counting all the other junk drinks like Red Bull, sugar-sweetened iced tea, diet drinks, and so on. Okay, how much sugar is that? 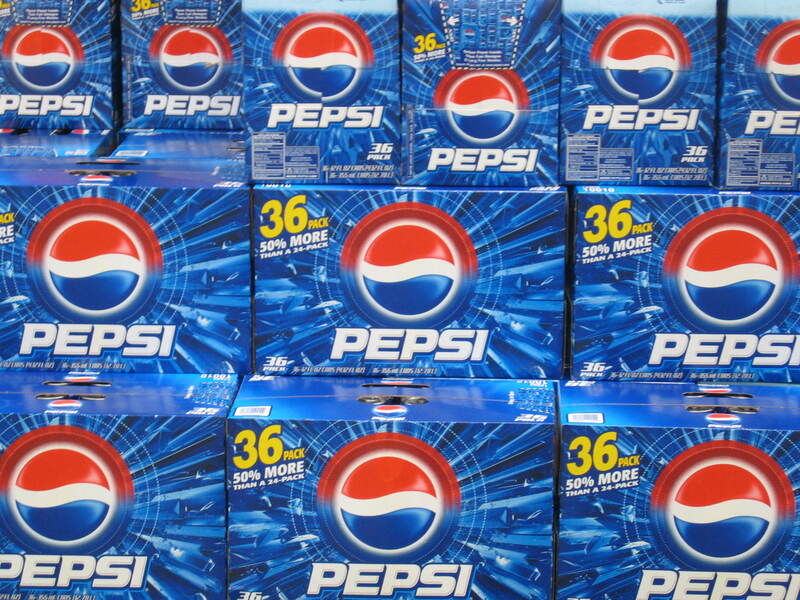 If you drink two 12-ounce cans of soda pop, that’s 80 grams of sugar. 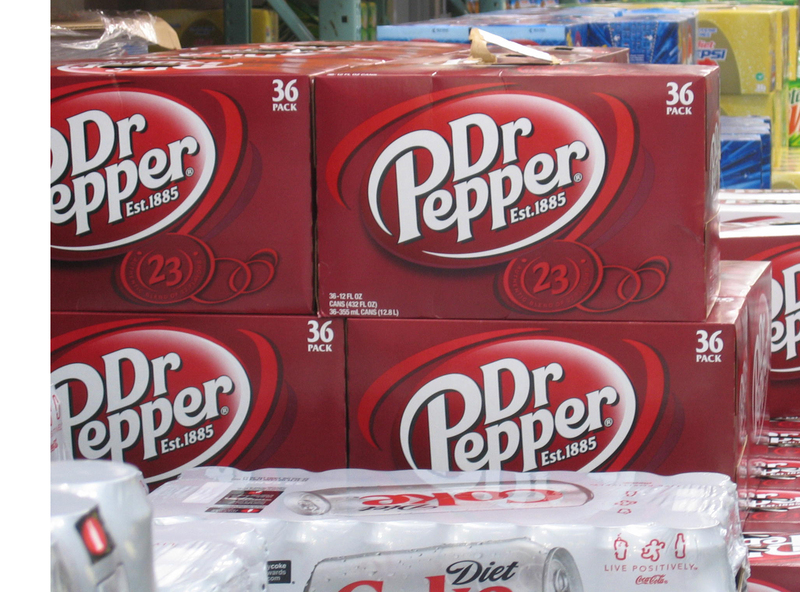 Four grams equals 1 teaspoon, so that’s 20 teaspoons of sugar per day in soda pop alone. Yikes! The stuff is cheap because it’s mainly water and corn syrup, so no wonder the kid behind the drink counter at the movie theater encourages you to buy the 36 ounce soda for an extra 25 cents. Wait, that would be 30 teaspoons of sugar, wouldn’t it? Not only that, but a certain type of sugar that converts to fat more efficiently. And you’re not expending many calories while sitting there watching Kung Fu Panda. It’s not surprising that obesity is on the rise. As Marion Nestle points out in her wonderful book, What To Eat, soda pop is inexpensive because, “water is practically free, and your taxes pay to subsidize corn production.” Does that mean that as tax payers we’re directly contributing to the obesity problem in this country? I want to personally choose where my tax money goes. Wouldn’t you be more willing to cheerfully pay your taxes if you could specify what program your money went to? “Cheerful” might be a leap, but I prefer my contribution not be part of the HFCS subsidy. Okay, I’m not picking up that “food politics” rope. But I will say, #*^@! Studies show that excessive fructose ingestion can cause inflammation, promote hyperactivity, induce insulin resistance, cause cavities, elevate blood pressure, contribute to fatty liver and renal injury, cause oxidative stress, and contribute to obesity. Gosh, they had me at inflammation. I’ve got an autoimmune disease (celiac), so increasing inflammation is not on my “to do” list. It shouldn’t be on yours either. If that’s not enough, phosphoric acid, added to give soda pop its “zip” causes calcium loss. We don’t want that. Pure phosphoric acid can eat its way through almost anything (metal, cement). Household hints columnist, Mary Ellen, suggests using Coke to clean your toilets, bathtubs, and sinks. Heloise, another hints queen, suggests pouring Coke over car battery terminals to get rid of the corrosion. And we’re drinking it by the gallon. Ugh! 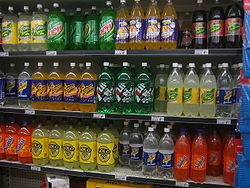 Most soda also contains caffeine. High amounts stimulate the adrenal glands causing chronic low grade stress and poor quality sleep. Not good. Caffeine also contributes to gastric inflammation and increased stomach acid levels. The above statement was released in 1942 by the American Medical Association’s Council on Food and Nutrition. We should have paid attention. But it’s never too late to dump the stuff in your toilet, scrub well, and flush. Go forth and drink water. This entry was posted on Thursday, December 4th, 2008 at 10:14 am	and is filed under Miscellaneous, Nutrition Therapy. You can follow any responses to this entry through the RSS 2.0 feed. You can leave a response, or trackback from your own site. Bravo, Melissa! I don’t think anyone could have said it better. I went from caffeine sodas years ago to caffeine-free sodas to no sodas. After going to no sodas for a long time, we went on a trip and I “splurged” and drank several over a weekeend. I started having UTI symptoms that weekend and took OTC meds for it until I could get home. I was totally miserable during the trip. I went to the doctor as soon as I got home, but I didn’t have a UTI. Eventually the symptoms disappeared, but a few weeks later I went to a party and drank a soda … guess what … the UTI symptoms returned and it finally hit me that they were directly caused by the sodas. The point is that sodas can cause health problems that we don’t even realize (ones triggered by the issues that Melissa cited). My UTI symptoms could have been caused by the inflammation factor. And, don’t think that you are doing any better by drinking diet sodas … OMG, that could easily be another post for Melissa. Water tastes so good and my body likes it! Thanks for the comments. I think I’ll skip the diet soda post as I did so much ranting about artificial sweeteners in my sugar posts that I’ve probably already overdone it. Not everyone wants to hear these diatribes of mine! Very interesting about the UTI and soda pop. It’s not surprising though and as you indicated, causes inflammation and that can lead to all kinds of low grade health issues (that can become major health issues). My next post will be something fun like muffins or pie or something holiday-ish. what can I say, I needed a good chuckle. Hey everyone, seriously check out the You Tube link I have on this post. It will crack you up! I love kids, they do say the darndest things. At the darndest times. I went back and watched the video … hysterical. What a good way to start the day! LOL I remember this Art Linkletter show and even his regular show. FYI, I just found out he’s 96 and he and his wife have been married 73 years now. Wow. You did a great job on the opening of your post BTW, very funny. Thanks Mom! I’m totally over my cola addiction now. I drink only water during the day. If I’m good, I treat myself to an occasional gf New Grist beer. I’ve been very good lately! So glad you took the time to watch the video! It absolutely cracked me up. I loved that Karen girl with the sparkly glasses. Great answers. And Shirley, thanks for your kind comments. I do appreciate it! Yeah, it’s funny how that happens. You’re lucky you had a health nut for a mom. My mom did a good job as well. No junk food in our house growing up either. Sometimes we had some Mac & Cheese, but not very often. Do you ever drink Red Bridge? I’m not a beer drinker, but it’s nice that there are some options for GF beers. I like my red wine. One more thing. If you are interested, I did a post on GF beer a year or so ago. Here’s the link. My first comment, and a different topic entirely: I saw your comment at smitten kitchen saying you are going to tweak the spelt cracker recipe to be gluten free? Isn’t it already gluten-free? I was excited about making them for my recently-diagnosed celiac friend . . .thanks in advance. I am SO glad you took the time to ask about it because it is often inappropriately advertised as wheat free. It is not. Spelt is a gluten-containing grain. It is part of the wheat family, an old relative, so to speak. A good choice for your friend (unless he/she has other food sensitivities, which is often the case with celiac disease) is Mary’s Gone Crackers GF Flax crackers. I’m going to play with making Smitten Kitchen’s crackers and if I’m successful, I’ll post them on my blog. Where do you live? There are some great GF bakeries around that make GF crackers. Send your friend my way, I’ll help answer any questions either of you may have. Tell your friend there is a silver lining to this celiac cloud! Here’s a list of some alternative flours to try. You do have to make sure they are GF and have been processed in a GF facility. Thanks for the beer link! New Grist is my favorite. Red Bridge is available more places, but it tastes kind of “brown” to me. I have a Bard’s Tale in the fridge for a private tasting soon. Wish I liked ciders, but I’m a beer girl. Tell Tevis I talked to the staff at Lakefront Brewery (where New Grist is made.) They are a HOOT! And they made it easy for me to contact my local distributor and get New Grist in at my favorite watering hole. Survivor isn’t holding my interest these days. I was a huge fan in the beginning. I like The Amazing Race, but it would be hard to travel with my electric skillet and loaf of gf bread. I’m working on a plan. Have fun with your GF baking. It’s actually a lot of fun discovering all these new and exotic alternatives to mainstream flours and grains. Good for you tracking down and requesting what you want out of life; whether it’s a spot on the roller derby team or a nice cold GF beer. From Survivor to the Amazing Race?! You crack me up. Maybe we should be the GF team on the Amazing Race. Do you think they’d want us? Great post. It is essential to share this kind of information, as some people just really don’t realize what it is that they are drinking!! I am really fortunate because my mom got into the health food business when I was young. In my own little healthy world, I sometimes forget what other people are eating and drinking! Bleck! Good thing I don’t like soda. Well, I occasionally like it mixed with rum. Regardless, your post was great Melissa; I think I’ll use some of those facts at the next cocktail party I attend. Thanks! I think for people addicted to soft drinks they really need to start looking at them and visualizing them as pure sugar or poison. I was never addicted, but that is how I look at them now. And how I don’t want to be duped by their marketing. Also, you have to substitute. Seltzer water is cheap and add a splash of real fruit juice and it is delicious. I personally LOVE Trader Joe’s Dixie Peach juice. Heather, Thanks for your comments! And yes, you’re a lucky girl in that your mom was a health nut while you were growing up. Watching someone “walk the walk” is a good way to learn healthy living. Lizzie, Bleck is right! Good description. As for cocktail parties, you’re better off having a glass of red wine than you are a diet coke. Kelly, I’m jealous and wondering if we’ll ever get a Trader Joe’s here in Colorado. Dixie peach juice sounds wonderful. I love what you’ve done with your blog lately. Nice overhaul! Hey, did any of you (other than Shirley) watch the YouTube video? It’s SO funny. Don’t miss it. Again – kudos for talking about the stuff that really affects our lives and health. Soda so belongs in the place we reserve for things like powdered sugar donuts. Not really a food group. Oh, yeah — and the Art Linkletter blast from the past was a nice segue. Thanks for the information. I am trying to cut back but need to clean my internal battery posts with a good dose of Coca Cola every now and then. Having grown up on sodas, it’s hard to quit but since you wrote so eloquently about the harmful nature of sodas, I’ll give it my best shot. But did you watch the video? It is so cute. By the way, love the comment about powdered sugar donuts and soda pop being a non-food group. Wow, I never expected to actually get a response out of you. At least not one I could “approve.” Thanks for not screaming at me in capital letters. You need to stay healthy so I have a dance partner at my next high-school reunion. Kay-Piece of celiac trivia … did you know that Elisabeth Hasselbeck (The View) found out she was celiac when she was a Survivor contestant? She started feeling great while eating fish, fruit, and vegetables–all gluten free!! Maybe you just need the right Survivor setting. You really can live without the bread, even the GF bread. Even I would watch Survivor if you were on it!! Okay, I’ll reconsider the Survivor gig. I had heard that trivia. Speaking of celiacs on tv, I’m not sure, but I think I saw a couple of bottles of New Grist beer on the first episode of “Leverage.” What a coup that would be for Lakefront Brewery!!! And celiacs everywhere. I’d love to be mainstream enough to get some good product placement. I did check out Survivor this week to see geezer Bob win again. Sweet! P.S. Good for you, Don! You are an absolute doll! Thank you so much for all the wonderful information you add to this little community of ours. The article about spelt was great and it’s such a shame that it has somehow become a “wheat-free” option. It is NOT. In fact, it is a form of wheat. Anyway, glad this thread started with Lisa asking the question. Thank you again, Lisa, for making the effort. Funny how the blogosphere works. And thanks, Shirley, for your wonderful input. We’re going to recruit you for Survivor, The Amazing Race, American Idol, and Dancing With the Stars. Can you sing, run, fish, build a fire, and dance at the same time? I’m starting to figure out you might do anything for a New Grist beer. I’d only make the outtake clips of American Idol. I’m a lousy singer. But I still own tap shoes and could add a little dazzle to Dancing with the Stars! But I’d rather fish and build a fire. But can you build a fire with no matches? In the rain. Wearing roller derby hot pants and tap shoes? The Naptown Roller Girls wear sort of naughty school girl uniforms – short plaid pleated skirts. The hot pants are underneath. In Survivor-land, that’s almost two full outfits! Naptown Roller Girls? You know, Kay, people are going to start wondering about this thread we have going. Fish hooks, hot pants, and flint? What does that have to do with GF recipes? Maybe a million dollars. I’ll be your prep coach. Unless you want to go for the GF duo on Amazing Race. We could be the first contestants who have never met. Could make for good reality TV. Hmmm? How much do you win on AR? It’s amazing how much focus is put on soda pop in our culture! It’s so sick– really. Because it has zero nutritional value, and does nothing but negative things to our body.. I can’t imagine letting my kids put that poison in their system!